Want the inside scoop on what's new in Easy Media Creator 10? Deciding if you should upgrade? We've got the goods! We've cherry-picked the very best new features to show you, from seamless Vista integration and one-button YouTube uploading, to streaming Internet radio capture. And the dozens of new tutorials, how-to articles, and user profiles provide endless inspiration to help you get the most out of your software. But our favorite new feature has to do with our favorite toys: Creator 10 lets you sync digital media from your PC to all your mobile devices, including cell phones and portable media players. 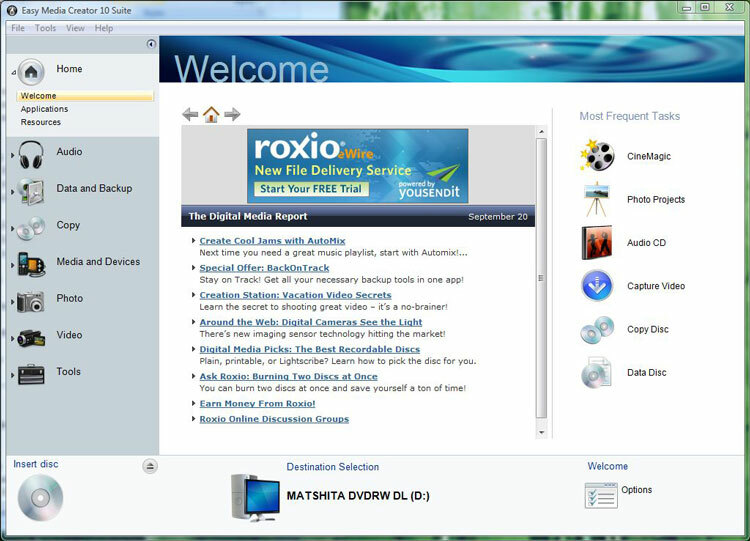 Roxio Central, the hub of Creator 10, now integrates handy task lists with educational resources like step-by-step video tutorials, user profiles, how-to articles, and a monthly Digital Media Report. Never edited a video before, or made a photo greeting card? Wondering how to backup your hard disk? You'll find all the answers here, as well as plenty of inspiration. Easy Media Creator 10's new task-based Home screen. The revamped Media Manager takes Vista's built-in media tools to the next level, letting you organize, tag and rate digital media all in one place. 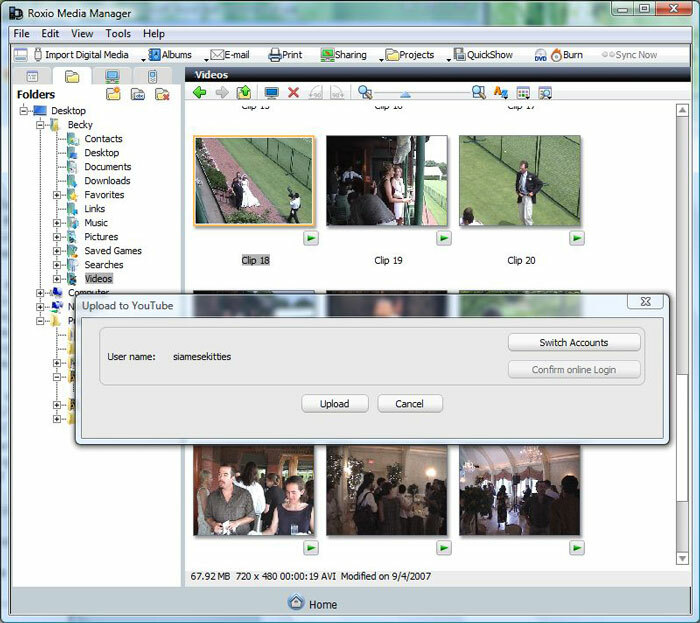 It's also fully integrated with Vista's metadata system, so that ratings, tags, keywords and orientation written in Vista are reflected in Media Manager and vice-versa. To launch Media Manager from Roxio Central, select the My Media tab, and then select "Manage Media." 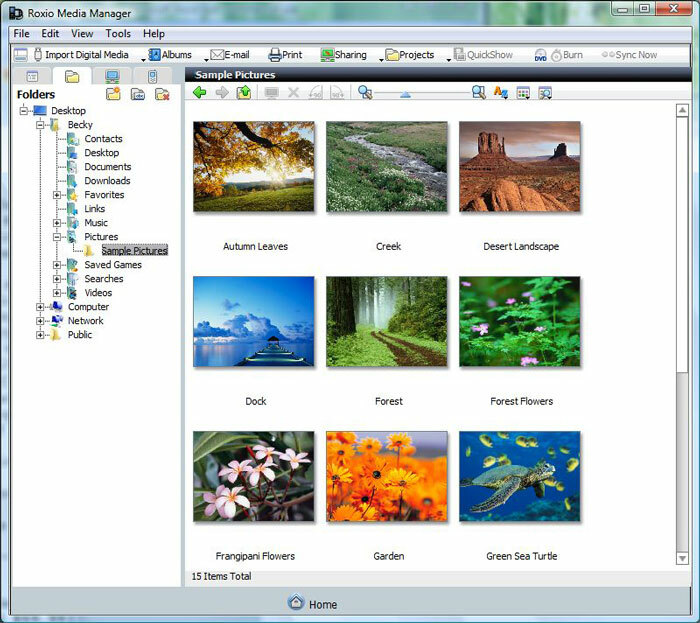 The Media Manager integrates with Vista's media tools, making it simple to organize your content. Just purchased an HD camcorder? Or eyeing one for Christmas? VideoWave now supports HD video capture and editing, and you can burn to Blu-ray or HD DVD discs as well! 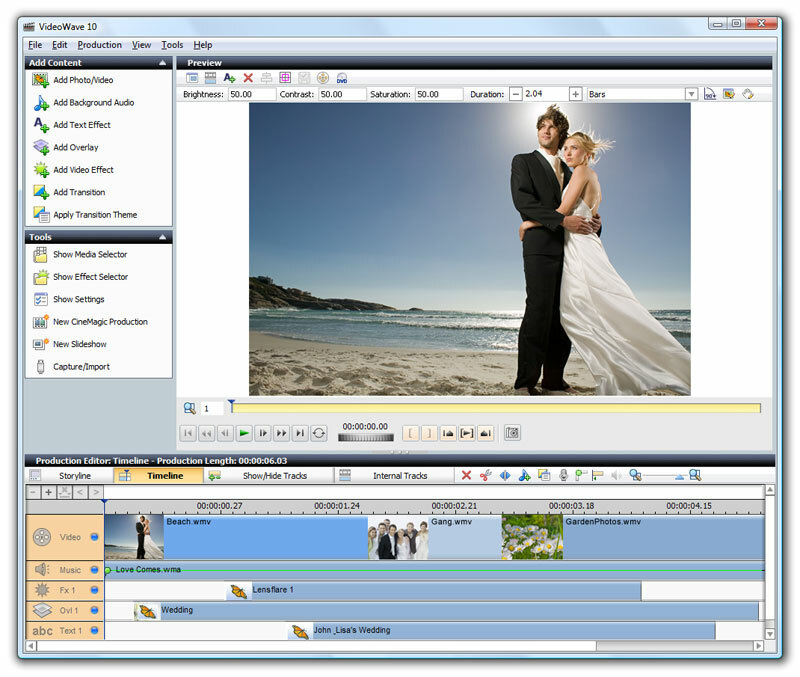 VideoWave has a powerful 32-track video editor with studio-quality tools, effects, and transitions. Editing an HD movie in VideoWave. Need to download pictures and videos from your brother's iPod? Creator 10 can copy any non-copy-protected media files through the Media Manager, where your iPod will appear in the list of available devices. Then use the files in your Creator projects. Want to send a movie to YouTube? Just right-click it in the Media Manager, select "Upload to YouTube," and go! The first time you will be asked for your YouTube account name and password. From then on they are remembered for you. One-button YouTube uploading from the Media Manager. Want to copy that (unprotected) DVD your sister made for your birthday? Just pop the disk into the Video Copy & Convert tool, and click go! You'll be prompted to insert your blank media, and then you're all done. 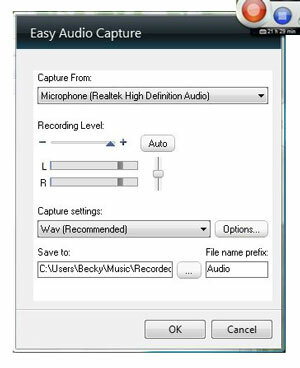 The Easy Audio Capture Gadget now resides in the Vista Sidebar, for ready access. It has the capability to capture any PC audio from your microphone or sound card, including streaming Internet radio. Simply press the red Record button to start, and blue to stop. Use the settings window to choose your audio format and adjust recording levels. The Easy Audio Capture Gadget resides in the Vista Sidebar. Want to sync your photos, music, videos, data and ringtones with a mobile phone or other portable device? Media Manager makes it simple. First, create a "profile" for your device using the Device Sync Wizard. Normally, when you attach a new device to your PC and run Media Manager, this will launch automatically. Otherwise, you can select the "Tools/Sync Settings" menu in Media Manager to launch it. Now you're ready to sync! To move media to your device, just drop files into the appropriate buckets. They'll be synched the next time you attach your phone. Media Manager can also sync back from your phone to PC, so you can get pictures off your cameraphone easily, for example. You'll need a multimedia-capable mobile phone with ObexFTP support and USB or Bluetooth connectivity. Synching media files to mobile devices. Got more than one CD/DVD drive in your machine? Use two or even three drives to rip audio CDs simultaneously! Now you can make short work of loading your CD collection onto your iPod. 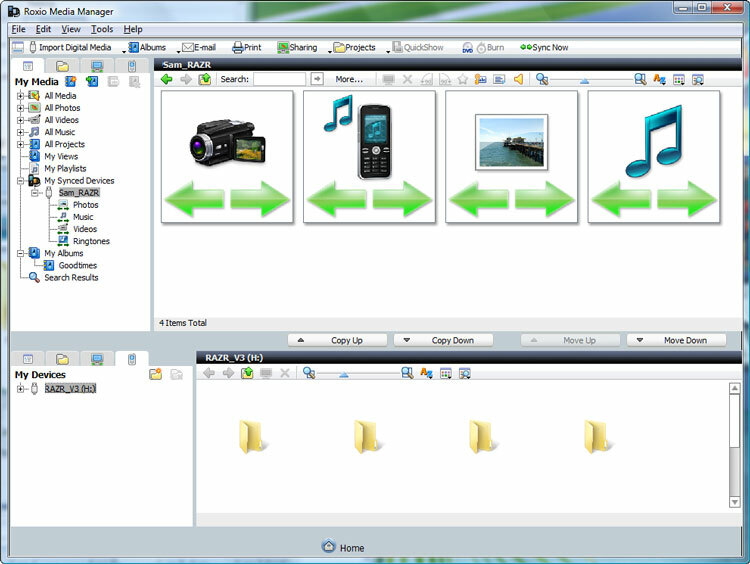 The Ripper can even automatically detect duplicate tracks and prevent ripping them again. Finally, the tool uses both the GraceNote CDDB and MusicID fingerprinting systems to identify your tracks reliably. 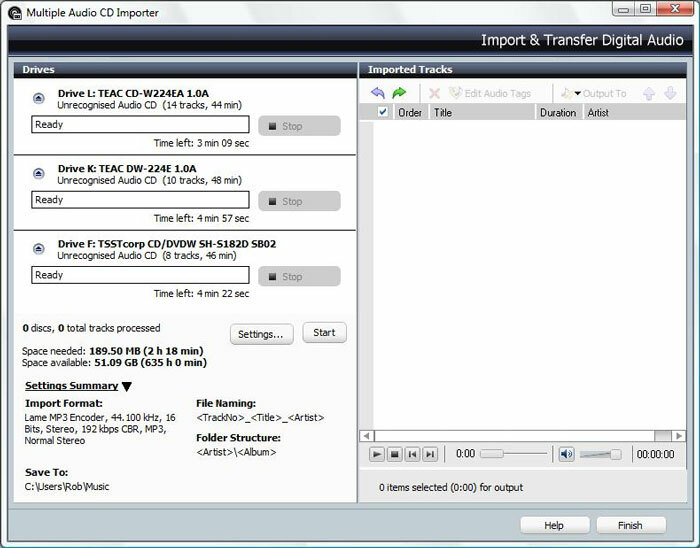 The Multiple Audio CD Importer makes short work of large collections.